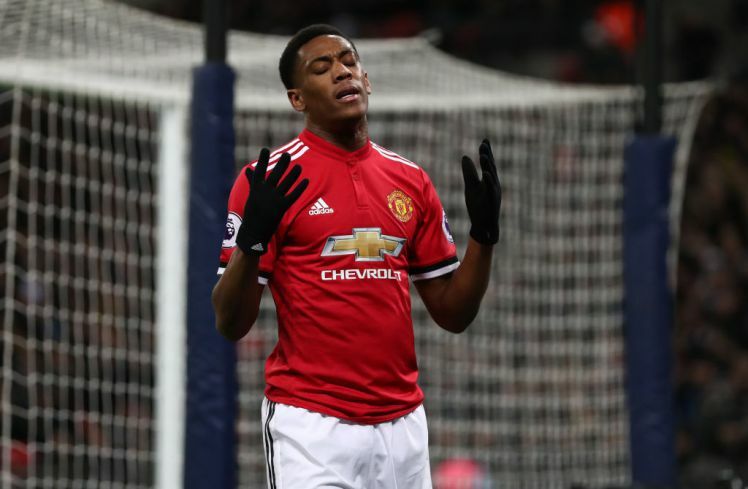 Manchester United look set to partway with France international Anthony Martial this summer as they have named their price tag on his signature. The 22-year-old has fallen out of favor with José Mourinho and the Portuguese manager is willing to cash-in on his services before the end of the ongoing World Cup. Martial wasn’t listed in Didier Deschamps’ squad, no thanks to his limited time on the field of play during last campaign in which he made only six appearances from the start and just 15 matches in all competitions. According to The Sunday Mirror, the Red Devils have told Chelsea, and other interested suitors, they would need to pay £75m for his services. It is also believed that Tottenham are also hoping to make move for the youngster’s signature. The Sun reports that Mauricio Pochetino is looking at the prospect of beating Chelsea to his signature this summer. Martial’s future remains uncertain at Old Trafford. He was pushed down the pecking order since the acquisition of Alexis Sanchez from Arsenal during last transfer market. The Chilean was integrated into the club’s starting lineup by Mourinho, who preferred to start the former Arsenal player ahead of the Frenchman. Chelsea are desperately looking for a striker to take the place of their want-away striker Alvaro Morata ahead of next season but £75m could turn out to be a steep price for the player.